I was so very pleased by the overwhelmingly positive response to my first post in this series and I’m so delighted to bring to you another one of my favorite bloggers, Casee Marie! Casee always posts fantastic content on both of her blogs, The Girl Who Stole the Eiffel Tower and Literary Inklings (I don’t know how she manages to run two blogs!). As I’ve gotten to know Casee over the last couple of years, she has always been so friendly and supportive of my blog, not to mention that she was clutch when answering my questions the weekend I decided to make the move from Blogger to WordPress! 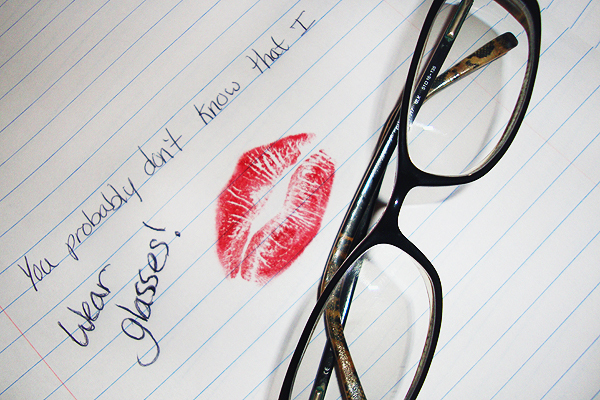 Casee is a writer at heart, which comes across so clearly in her masterfully written posts. I’ve told Casee before that I treat her blog like I would a good book or my favorite magazine: I can’t rush through it, but instead I’ll wait until I have a period of free time and peruse her blog at my leisure. 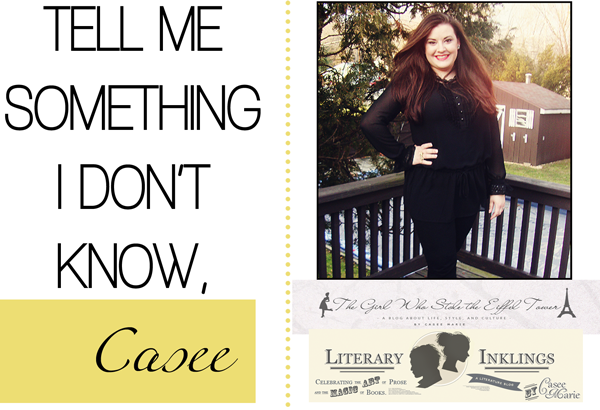 Well that’s enough from me- I’m sure you’re dying to read Casee’s answers now! Take it away lady! The Girl Who Stole the Eiffel Tower is a reference to an Audrey Hepburn film, which seemed appropriate since Audrey is my top inspiration. The film is called “Paris, When it Sizzles” and in it Audrey plays a secretary to a film writer, played by William Holden. They fall in love as she helps him with his new screenplay, called “The Girl Who Stole the Eiffel Tower” – they even got Frank Sinatra to sing a mock-up title song for it! Anyway, The Girl Who Stole the Eiffel Tower the blog is largely personal and I write on a broad range of topics, but overall I like to consider it a blog to inspire cultural living – with attention to fashion, beauty, décor, and the arts – especially with a European flair. On Literary Inklings I work with authors and publishers, both indie and mainstream, on book reviews and interviews; other than that there’s a lot of bookish content, from personal essays to adaptation reviews. I like to hope it’s an online equivalent to the feeling a booklover gets when they’re around books. The name came about on a very long road trip with my mom when I was first entertaining a literature blog. I told her about The Inklings, the group started by writers at Oxford in the ‘30s (whose members included J.R.R. Tolkien and C.S. Lewis) and it was from it that she suggested Literary Inklings as a blog name – it stuck quite quickly. Literally at this moment I’m listening to Ella Fitzgerald singing “Georgia”; I’m almost always listening to Ella, she’s my favorite. I love making past decades a part of my everyday life. I like to pick out the best bits, mix generations to make my own little world; lately there’s lots of Imelda May, The Smiths, I Am Kloot, Sia (my other favorite) and JD McPherson on my playlist. I’m watching the Olympics! I’m a homebody with a wanderlust heart so I just love the opportunity to learn about other countries – and sports – through the Games. 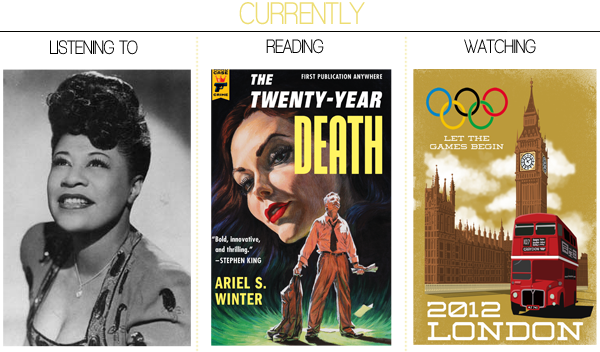 And I’m currently reading a giant of an old-style crime novel that will be publishing this month, The Twenty-Year Death by Ariel S. Winter. Ohh, difficult! The Girl Who Stole the Eiffel Tower has several years of content, and I’ve put a lot of things that I’m proud of into it. One of the first times I wrote in detail about Audrey was in tribute on her 82nd birthday (Our Huckleberry Friend: Remembering Audrey Hepburn) and that will always be a special post. I also really love Lessons from Tom Ford to an Unlikely Fashionista; it was challenging because I wanted to capture everything Tom Ford has given to me, but I think I accomplished it, and I was gratified to know that other people found inspiration in it as well. My favorite post on Literary Inklings is “Don’t Just Say You Have Read Books, Or Why I Read: A Personal Essay,” and for a number of reasons. 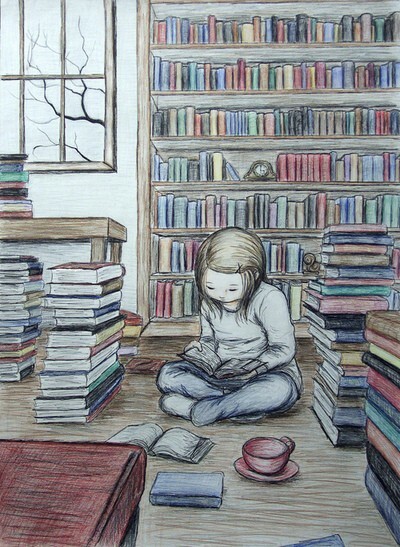 I was able to get a lot of my thoughts down on the importance (in my opinion) of reading, and it also sparked some absolutely wonderful comments; I loved reading how other people could relate to the post and what reading means to them. 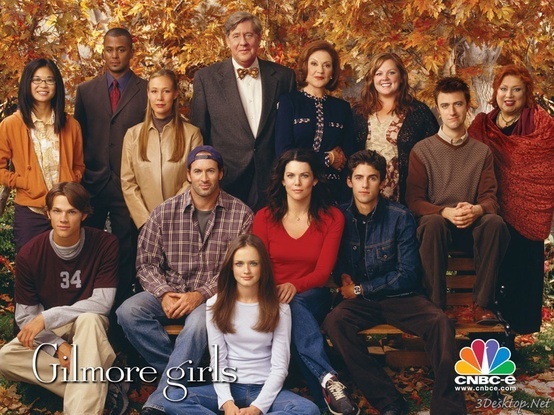 Well, I live in a small town, but my favorite thing about Wallingford, Connecticut, is that it was one of the inspirations for Stars Hollow on Gilmore Girls. For those who never watched the TV series it might not be as exciting, but I think it’s pretty cool! I’m always blogging, really. When I’m not blogging I’m usually reading – exciting, I know. I also try to focus on my creative fiction writing; I’ve written the roughest of drafts for two novels, which I’m hoping to pursue in the future. Supposedly it was Oscar Wilde who said, “With freedom, books, flowers, and the moon, who could not be happy?” I think that sums it up well for me! A glass of wine and some online shopping; unplugging and focusing on simple, technology-free pastimes relaxes me, too. I think when you spend a lot of time working on a computer it’s important to engage your mind elsewhere as well, to get inspired or just rejuvenate your perspective. More hours in a day! I don’t know that I can pinpoint one exact piece of advice because blogging has been a singular, giant experience for me, an evolution process that doesn’t seem to have a beginning or end. Being observant and reflective, I think, has been the key factor for me. I’ve gone through the phases of feeling like I have to publish a certain amount of blog posts a week, judging my audience by the number of comments, presuming that to work with brands is to have “succeeded”; and I’ve realized that’s all wrong. I’ve learned to focus not on any of that, but on blogging as an outlet and as a representation of my skills, inspirations and dreams. When you take absolutely everything else out of blogging it feels exciting and new all over again.